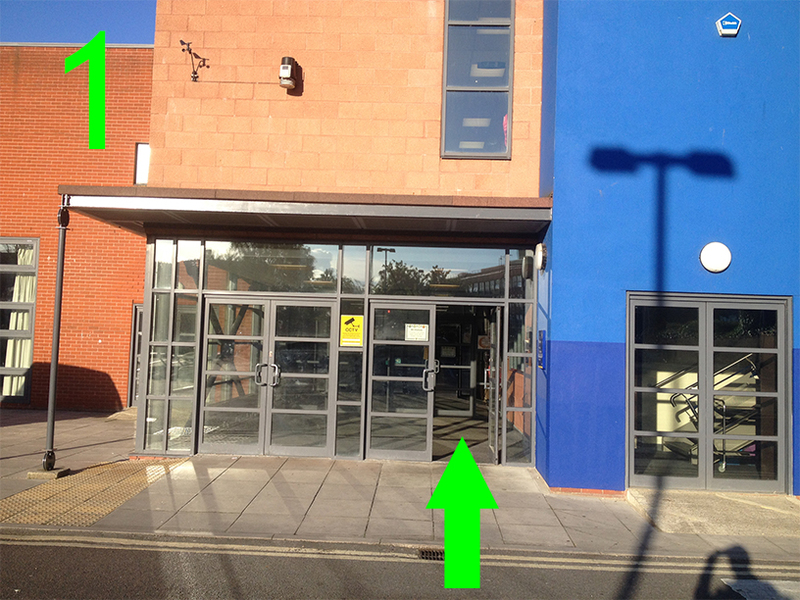 Find Us - Train Martial Arts in Portsmouth Now! 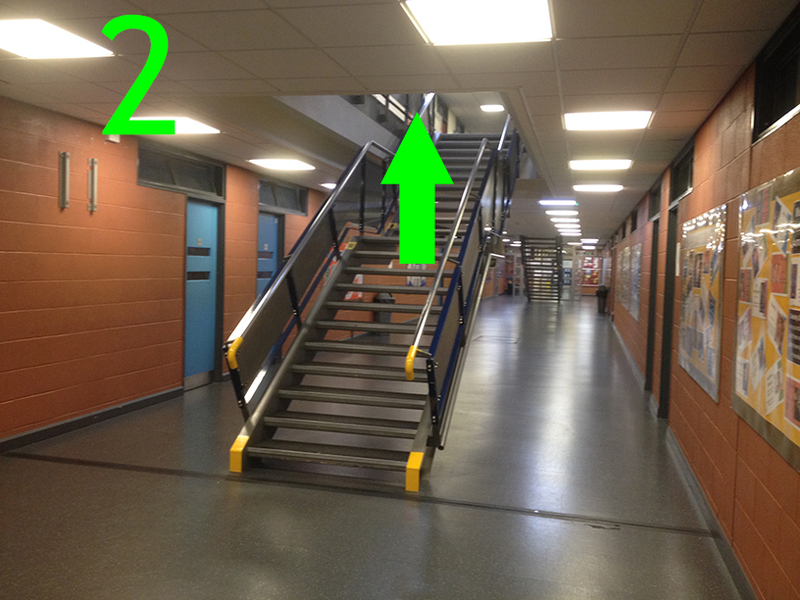 How to find our enjoyable classes! due to the bank holiday weekend. No, We have spare Gi jackets for you to borrow for your first few lessons. after that you can get one easily online. All Classes are open to all Adults and Teenagers over 14 yrs old. Jiu-Jitsu is for everyone so your never too old to learn. Experience or fitness is not neccessary. We welcome complete beginners to come and learn! 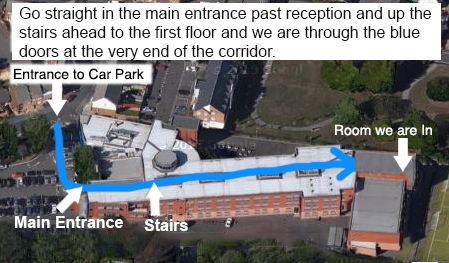 We are in the Gymnasium at the back of the School. 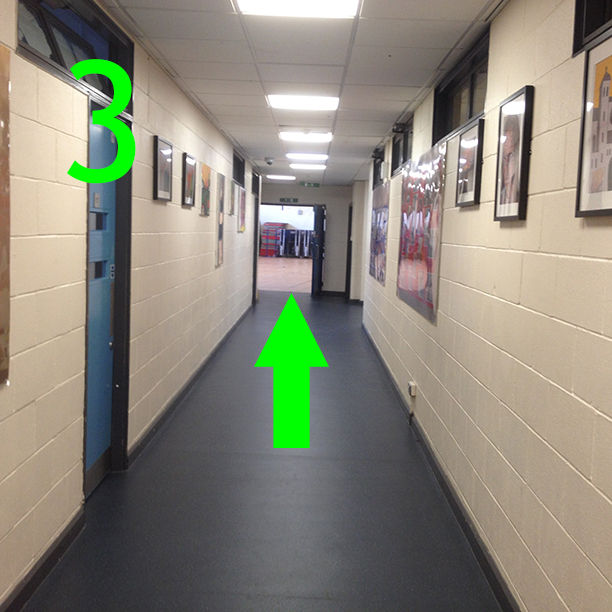 3: Keep walking in a straight line and we are through the blue doors at the very end of the corridor. Finding the room is pretty easy but If you have any problems feel free to send a message on 07851471618 and we will come and find you. We train in a large modern gymnasium with a sprung floor and a large area of Pro Judo Mats, All training is always done on 40mm thickness mats for safety. Your First Class Is Completely Free To Try!!! Just £24.95 For Your Entire First Month Of Classes!!! Free 1hr Private Lesson! For All New Members Joining For The Month!!! No Joining Fee Or Minimum Agreement!!! Get All Classes For Your Entire First Calendar Month For Just £24.95!!! Regular Price: £49.95 All Classes Per Calendar Month!!! via direct debit. Regular Price: £34.95 All Classes Per Calendar Month!!! via direct debit. £10 for a single class / drop in session via Cash or Bank transfer. £5 for a single class / drop in session via Cash or Bank transfer. We love receiving guests but our free trial is for residents of the surrounding local areas only with a view to training regularly. Training for travellers or temporary visitiors is at the regular per class rate of £10 per session for Adults and £5 for ages 14-17yrs. Come And Get a Completely Free Trial Class! Come down and give Martial Arts a try in Portsmouth Hampshire, UK, and see what we can do for you! Our art is fantastic for self defence and fitness as well as weight loss and much more fun than visiting a gym. We are all very welcoming to new students! Get Your Completely Free To Try With No Obligations First Class Right Now! 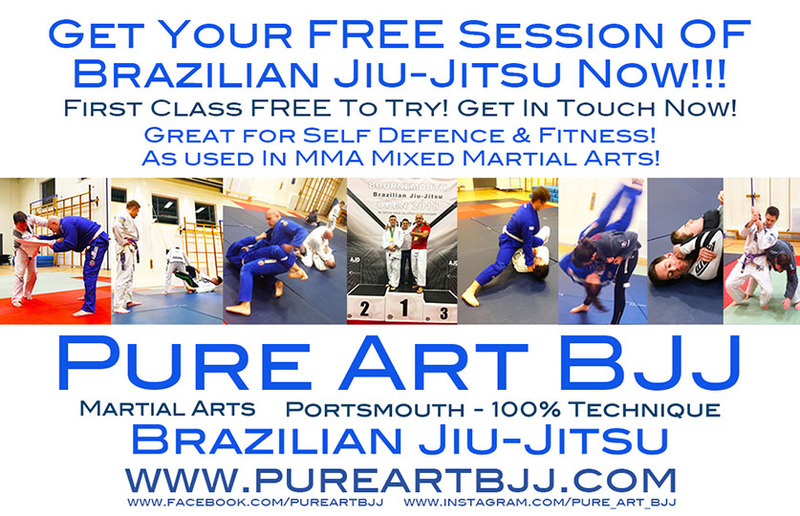 Just fill in the quick form below to arrange now or simply email us at info@pureartbjj.com or txt 07851471618 and well reply to you right away! Or just come down and turn up to a session, you'll be very welcome to train no matter your experience level, age, fitness, ability or weight! We hope to see you soon!